Ailsa, at Where’smybackpack, has given bloggers a new challenge: Travel Theme – Foliage. Anyone who knows me, knows I love all things botanical. I must have close to a thousand images of foliage of one kind or another, so I’m going to restrict my offerings to foliage seen while traveling – but you’ll see that restriction still permits quite a bit of latitude. 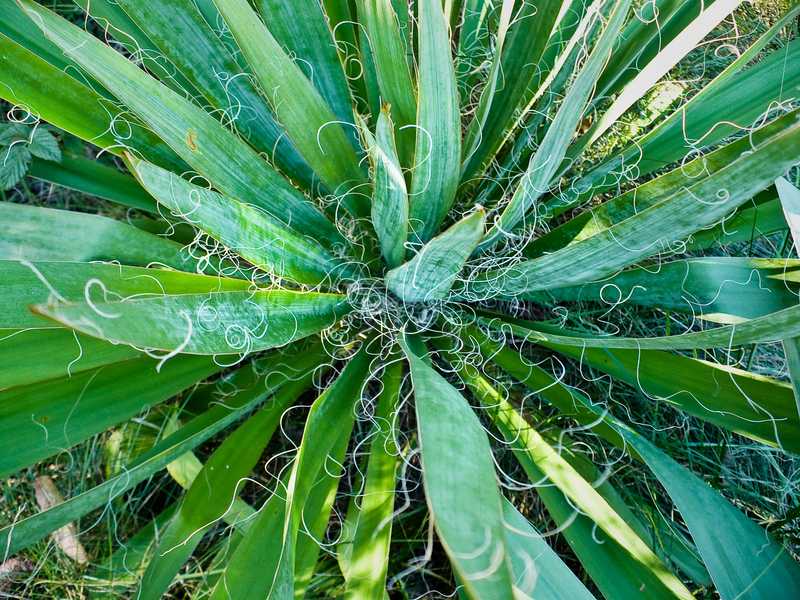 A yucca plant in Colt’s Neck, NJ, a township in rural Monmouth County. Love those curls! Sensitive fern on the Buffalo River in the Ozarks, in northern Arkansas. The Buffalo River “flows freely for 135 miles and is one of the few remaining un-dammed rivers in the lower 48 states.” The National Park Service warns visitors not to rely on GPS in this remote area, but to use Arkansas road maps. Remember road maps? 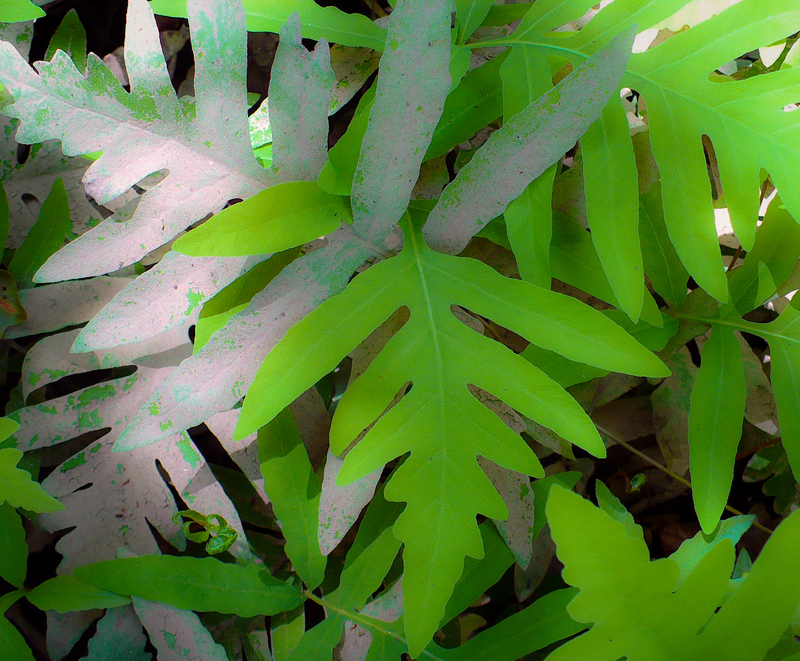 Flooding caused some of these leaves to be covered in mud; later, new leaves grew among the old. 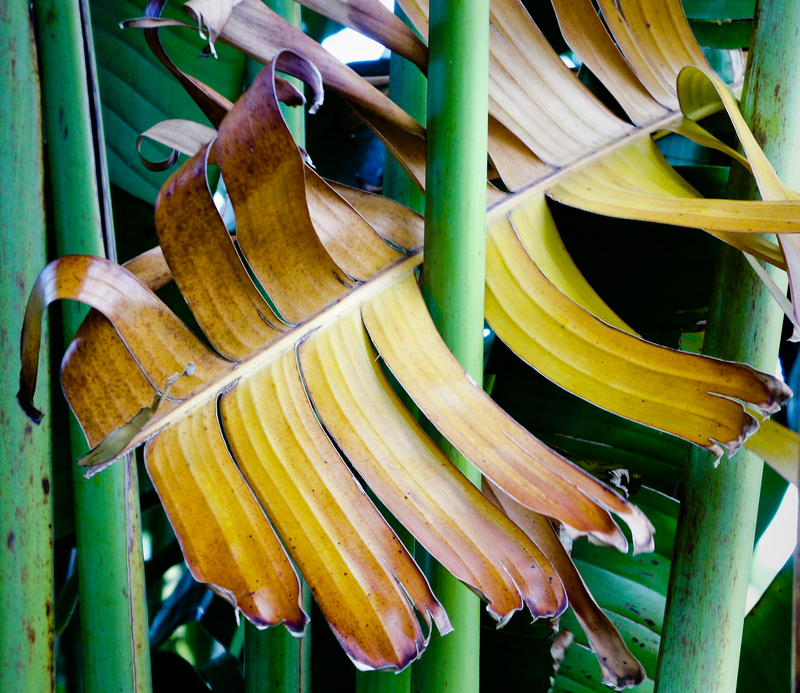 On the edge of a parking lot in Fort Myers, Florida, tropical foliage is torn and caught on a bamboo stalk. 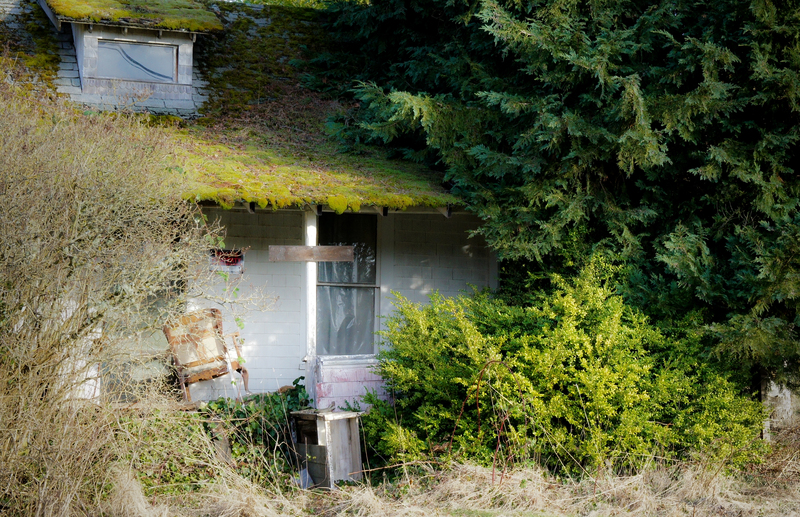 This old home on Whidbey Island, off the coast of Washington, is almost invisable under layers of moss, bushes, weeds and trees. 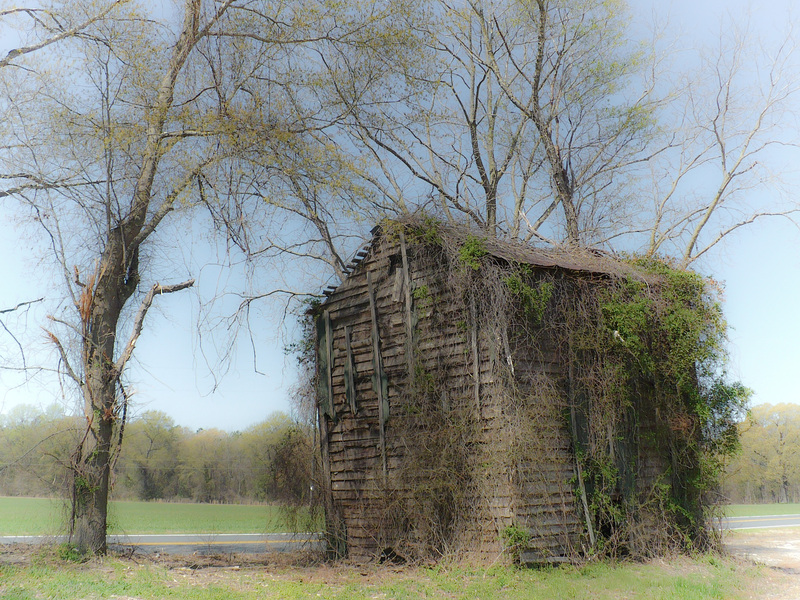 More rampant foliage takes over another overgrown roadside attraction – an old tobacco barn in rural Duplin County, North Carolina. Foliage of a completely different sort – a Tillandsia – an “air plant” that grows by anchoring its roots in tree branches for support while its leaves absorb nutrients and water from the air. When I placed it on a map of the area where I found it, its leaves seemed to echo the roadway lines. Undersea foliage: kelp and a bull whip plant lie on a beach on Whidbey Island, Washington. 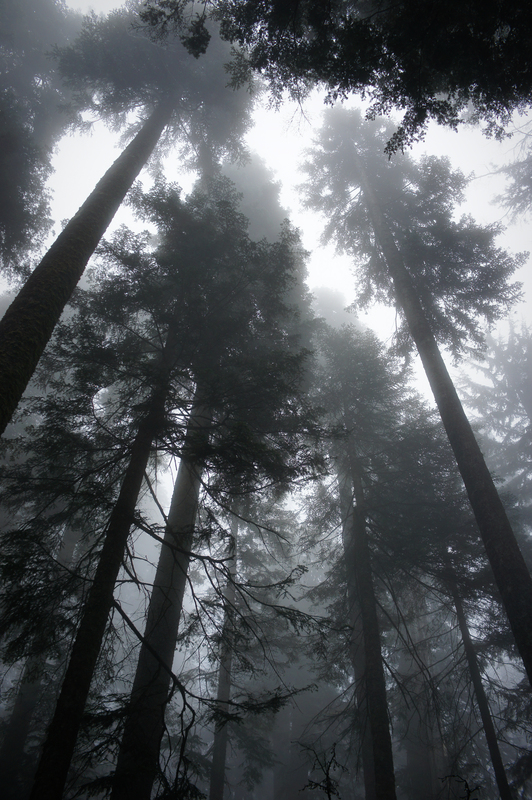 Western Hemlocks, their foliage drained of color in the gloom of the forest, tower over Lodge Lake Trail in the Snoqualmie National Forest, in northern Washington state. This entry was posted in photography, Weekly Photo Challenge and tagged FLorida, foliage, kelp, leaves, overgrown, Snoqualmie National Forest, tillandsia, tobacco barn, tree, tropical, western hemlock, yucca. Bookmark the permalink. ← Weekly Travel Theme: White! An excellent and varied selection full of interest. Thank yo so much, Louis – I appreciate your thoughts. Lovely photos. I love all things botanical too! 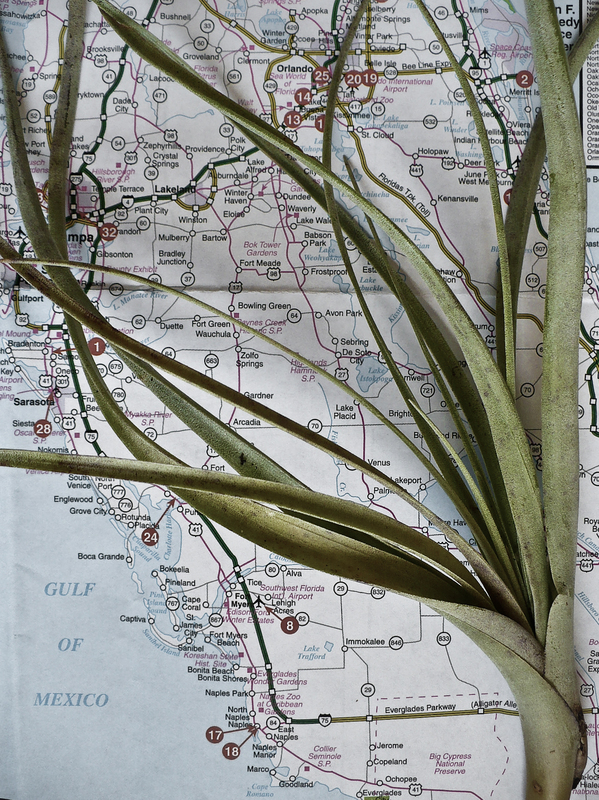 My favorite one is the Tillandsia plus map. 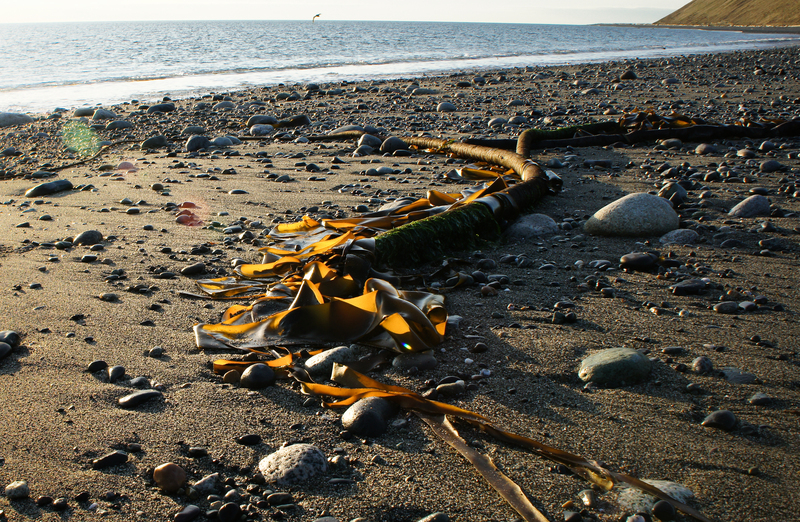 No wait…the kelp…actually, maybe the trees! Thanks so much, Veronica – I guess they’re all pretty different.